Fanfest 2018 Live Stream: Meet the hosts - Send us your stories and videos! Fanfest 2018 is coming to your house with three days of live streamed Fanfest content on the CCP Twitch channel! You'll get to see all the main presentations and keynotes, special events, talks with developers and EVE players...and player created videos. Send us your videos and ads! You'll find the required specs and submission instructions in this recent news item where we made the first call for content. 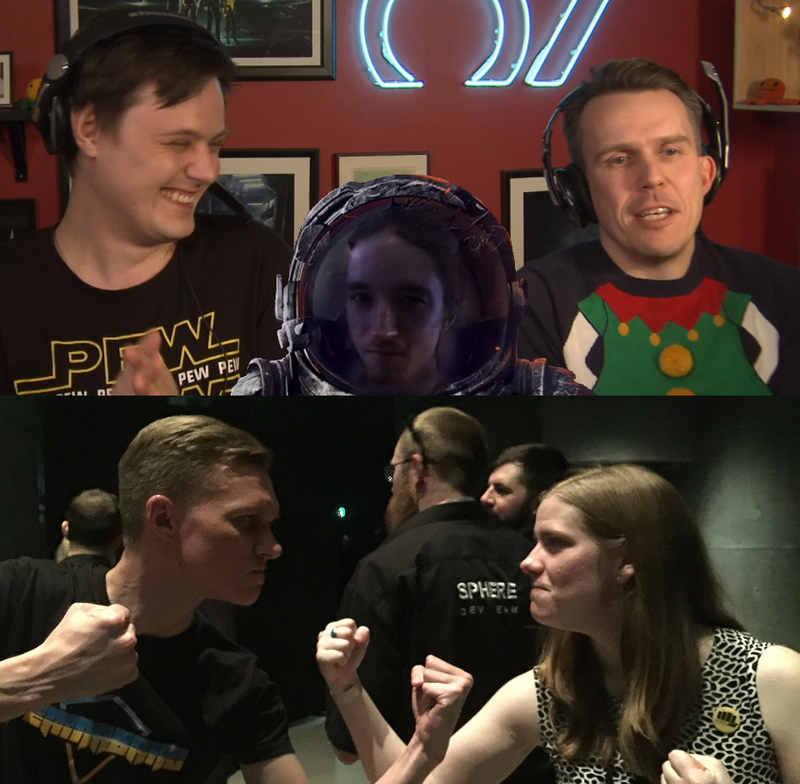 The hosts this year will be four well-known streamers from the EVE community (with a smattering of CCP devs). Zarvox, Rahne, BjornBee and Manic Velocity will make sure you get all the scoops and have more fun than even the people physically present at Fanfest (no pressure)! The wonderful people of #streamfleet will be on tour, streaming additional content alongside the main stream from the Fanfest PvP room, so there should be plenty of content for everyone. If you're a streamer heading to Fanfest you should get in touch Raiden Harmann and MsMoses through streamfleet@streamfleet.org to enquire about a streaming spot so you can say hi to your viewers live from Fanfest. We'd also love to hear from you about what you'd like to see on the stream. Who should we talk to? What should we talk about? Do you know anyone coming to Fanfest who's got a great story to share? Our E mail is evetv@ccpgames.com and we look forward to hearing from you. See you at Fanfest and in Twitch chat!